…on the third day of Christmas my green friend gave to me…three Amazon Echos…two Ecobees…and a live Christmas tree! As I age and my home gets smarter, my green friend thought I should add a couple Amazon Echos to my home for safety and security reasons . Two of the Echos are Echo Pluses that have a wi-fi “hub” built-in which allows me to make voice requests like “what is the weather supposed to be today” or “what time is sunrise” or “call 911” if I have an emergency.. I was somewhat intimidated thinking this contraption would be listening at all times until my green friend explained that I can use the mute button to disable the listening feature. 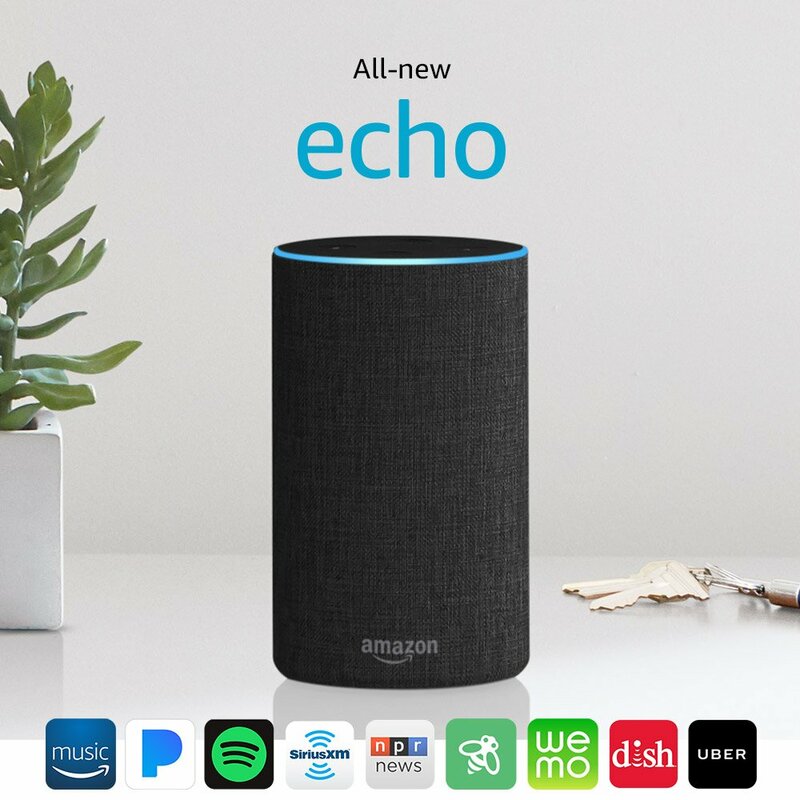 The third Echo is an Echo Dot which provides certain features but does not have the “hub”. The Dot is more of an auxiliary component. Since I am still a “newbie” to some of this equipment I will need to learn more about the features before I can comment.. I will be trying several of the available options in the next couple days. I believe these devices will allow more “aging in place” homes to be available to senior citizens which could be a definite advantage to a large number of the population. I’m excited to learn more about these devices and how they can help me achieve my energy efficient goals. If this is the first post you have read of my Twelve Days of a Green Christmas and you can’t figure out what the heck I am writing about or why I’m writing about the Twelve Days after Christmas click here to read how this all began. I hope you join me tomorrow for the Fourth Day of a Green Christmas!